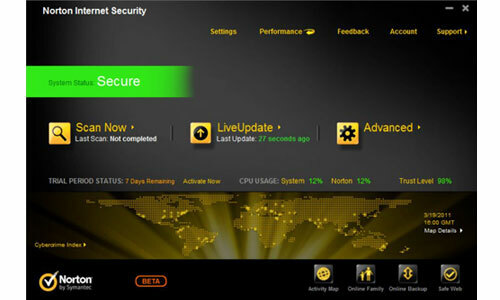 Norton Internet Security 2012 lets you email, chat and surf the Web without worrying about cybercriminals ripping you off. It delivers protection from online dangers without sacrificing performance. It guards against online identity theft so you can shop, bank and visit social networks with confidence. It updates automatically, offers easy-to-use features and includes free customer support during your subscription period.